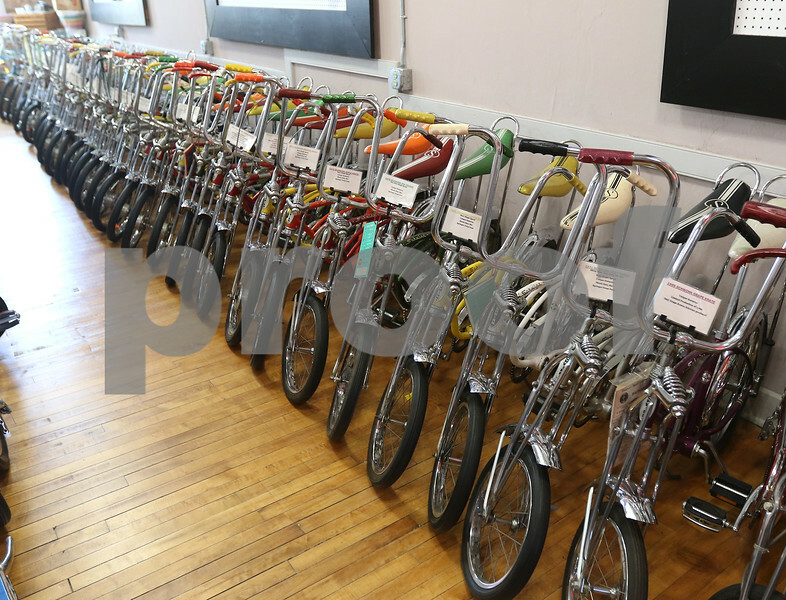 A portion of the many Schwinn Krate bikes at Blue Moon Bikes in Sycamore. Blue Moon is hosting the 27th annual Kratefest Saturday in the two parking lots at 155 S. Somonauk Road in Sycamore. The event will feature a bike show and swap meet with contest celebrating the Krate and other collectable bikes.